Several weeks back I did a Youtube Tutorial on loose watercolour flowers – which you can find here (incase you missed it). 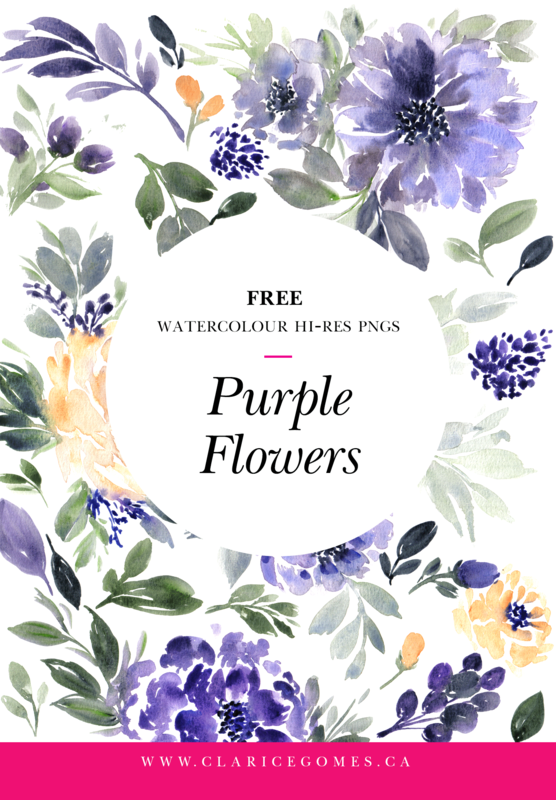 In the tutorial I mentioned that I would be converting the loose flowers into hi-res pngs for free download. Thank you for subscribing to get notified about this freebie. It took a while to get done because I have been so busy. But praise God, I got em done! I would love to see how and where you use these flowers. So please feel free to post comments, links and pictures to them.